There is something magical about holiday baking. Chipits Baking Chips have been my go-to since I was taught how to bake. The familiar yellow and brown packaging on the Semi-sweet Chipits bag brings back memories of making my favourite recipes with my mom and my grandmother. Whether I am grabbing a bag at my local grocery store or the club-pack at the warehouse store Chipits is my brand of choice for baking throughout the year, but especially during the holidays. With a wide variety of recipes and the need for a range of flavours I know that I can get the flavour/variety I am looking for and the quality I expect from Hershey products. Combine graham crumbs and butter in a bowl until combined. Press graham cracker mixture firmly and evenly into a parchment paper lined 13×9″ pan. Pour sweetened condensed milk over graham cracker mixture. Sprinkle Chipits Butterscotch Flavoured Baking Chips over condensed milk, then sprinkle Chipits Pure Semi-sweet Chocolate Chips, then the Chipits White Chocolate Baking Chips, and finally the flaked coconut. Press mixture into pan pressing firmly. Bake in oven for 25-30 minutes or until the coconut is browned and the edges have become firm. Cool completely then lift parchment paper out and cut into bars. Can be frozen or stored covered in the refrigerator. A twist on a classic recipe perfect for Holiday entertaining. 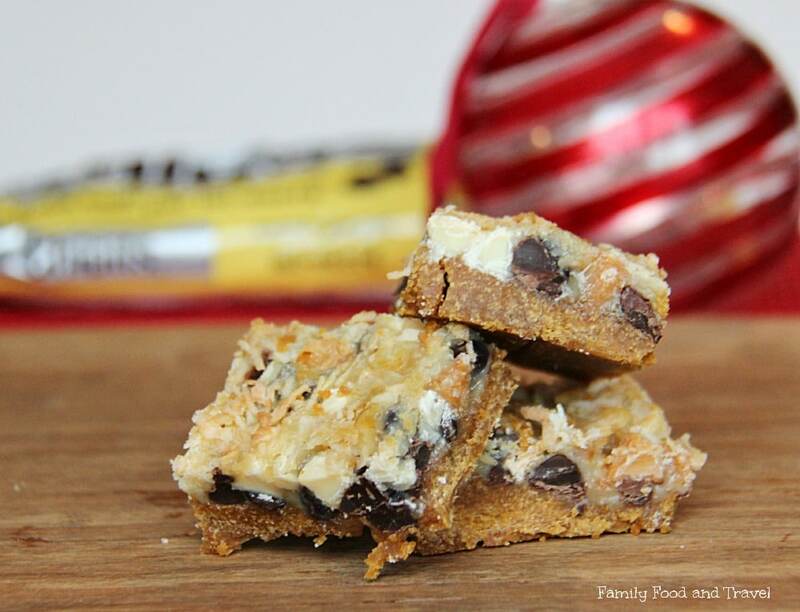 The combination of Chipits flavours make these Magic Bars triple the fun! Press graham cracker mixture firmly and evenly into a parchment paper lined 13x9" pan. To celebrate all that is wonderful about Holiday baking we are giving away 20 bags of CHIPITS Baking chips for you to create your own baking magic. 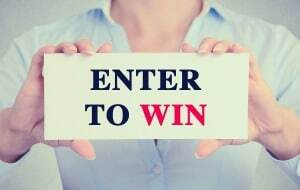 Contest is open to residents of Canada as per giveaway terms and conditions. Contest ends December 26 at 11:59pm. Chocolate chip cookies, of course! White chocolate chip with Cranberry cookies. I love to make Pizza cookies using chocolate chips. YUMM!!! Hands down no bake chocolate peanut butter drop cookies.. MMmm A family favorite! In a saucepan bring to a boil, the sugar, cocoa, butter and milk. Let boil for 1 minute then add peanut butter, vanilla & oatmeal. On a sheet of waxed paper, drop mixture by the Teaspoon, until cooled and hardened. Definitely Chocolate Chip Cookies…love their chocolate-y goodness! I love baking Hello Dollies! I love making peanut butter chocolate chip cookies! White chocolate chip macadamia nut cookies. I use the jacques torres recipe and substitute the chocolate chips for white and macadamia nuts. I like to make chocolate chip coffee cake. Double chocolate chip cookies is my favourite for sure! Chocolate Chip Cookies are my favourite. I love to make soft chocolate chip cookies. My favourite recipe is for fudge. I love to make cranberry and white chocolate cookies! Chocolate chip cookies and muffins! I really love my chocolate chip cookies and my chocolate chip banana bread. I like making oatmeal chocolate chip cookies. Gramma’s Chocolate Chip cookie recipe is the TASTIEST with Chipits! Thanks and Merry Christmas to you and yours! I like making chocolate chip scones. Your squares look amazing. Like almost everyone here, love chocolate chip cookies! I also love making a recipe with butterscotch chipits (melted) with little marshmallows, you mix them and let it become solid, it’s pretty good! just imagine all the holiday baking you can do. I like those Rocky Road squares. Chipits melted then marshmallows added an chilled. Never made them before, but my sis has. LOVE THEM. I love to make chocolate chip cookies with the semi-sweet chocolate chips. My favourite recipe using Chipits is Skor Brittle. Homemade old fashion Chocolate Chip Cookies! we love to make Cowboy Cookies with tasty Chipits! My wife has this amazing classic chewy chocolate chip cookie recipe. i like to make cookies! I love making brownies with chocolate chips in them! Nothing beats chocolate chip cookies with chipits! Skor chocolate Toffee squares are the best thing to make with Chipits. good old chocolate chip cookies! white chocolate chip macadamia is my fav. I love to make classic Hershey’s chocolate chip cookies. I love adding chipits to banana bread. I am like you and have been making magic cookie bars since i was a teenager. I can make them in my sleep. 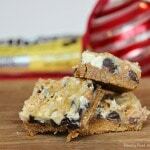 The old Chipits Party Bars recipe has been a family staple for us for years! Probably close to 40 if I am honest! We will be making them again this year! I love making chocolate chip cookies! favourite chocolate chip cookies of course! Old fashion gooey chocolate chip cookies! I love the recipe for these bars, I love to bake and these look delicious. Use chipits brand all the time. 3 Ingredient bars. Chipits, Graham Crumbs and Sweetened Condensed Milk. Made into candy by melting then swirling with melted white chocolate and dropping into molds to cool and firm. Choco chip cookies are the original best. Confetti squares (the ones that have melted chocolate chips, peanut butter and colour marshmallows). A family favourite. I like making a big pizza chocolate chip cookie, and this is my brand of chocolate chips. Banana Bread with the addition of chocolate chips. Good ol’ traditional chocolate chip cookies. I like to make Magic bars as well. But I also add walnuts and dried cranberries. Magic Bars are so yummy. That is what I would make. Magic Cookie Bars of course! My favourite recipe to make with Chipits, aside from chocolate chip cookies, is our family banana bread recipe with Chipits added as a sweet treat. These triple maid bars look delectable! I am adding condensed milk to my shopping list so I can make them. My favourite thing to make with chocolate chips is chocolate chip cookies but I make a lot of other things with them too, like cake pop glaze/icing, chocolate chip waffles, and brownies. My favourite recipe is straight up chocolate chip cookies. Nice and easy! My favourite recipe would be including it in candy bark! 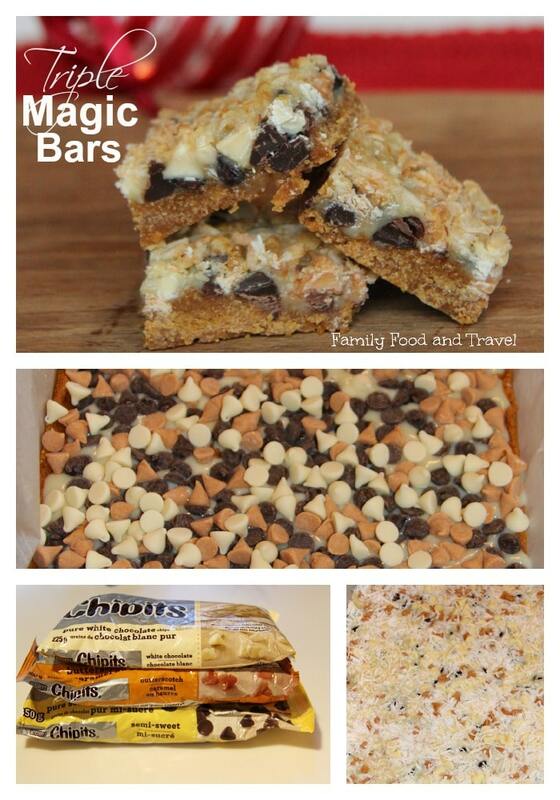 Chocolate Chip cookies and magic bars are my favourite! Yummy!! Peanut butter streusel bars. The top layer is covered in chocolate chips. I like to make chocolate chip banana bread. Re: OMG, chocolate chips cookies of course. . Wow, prize is fab. & splendid. 2 fingers snap. It is tight, fly & off the chain. Thank you for the awesomeness, the contest, and generosity. I love to bake Confetti bars. I like to make fudge with Chip Its because I am too lazy to break up the chocolate! Super Moist Chocolate Chip cookies. I add a package of chocolate pudding mix to the cookie recipe and they’re delicious! I love making Oatmeal Chocolate Chip Cookies. Chocolate Fudge is my fave recipe using Chipits. I love the Chipits Chocolate Chip cookies recipe on the back of the bag. It’s the best! 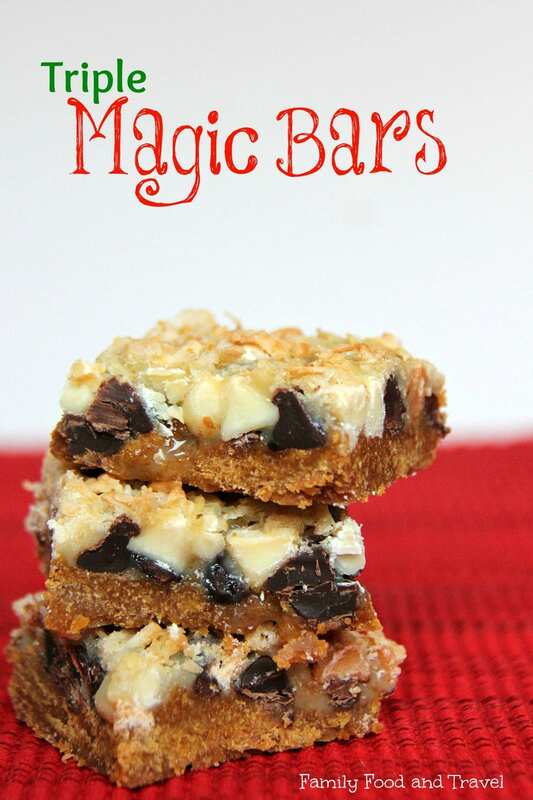 Magic Bars are definitely at the top of the list of favorite Chipits recipes! I also love homemade Reese’s Cups! Banana bread with chocolate chips is my fave! I make gluten free granola bars with Chipits. i like to make a marshmallow square that my grandmother used to make for me. Good old chocolate chip cookies. Chocolate chip cookies!! Always good! Fudge — easy to make difference kinds using different flavoured chips and nuts!